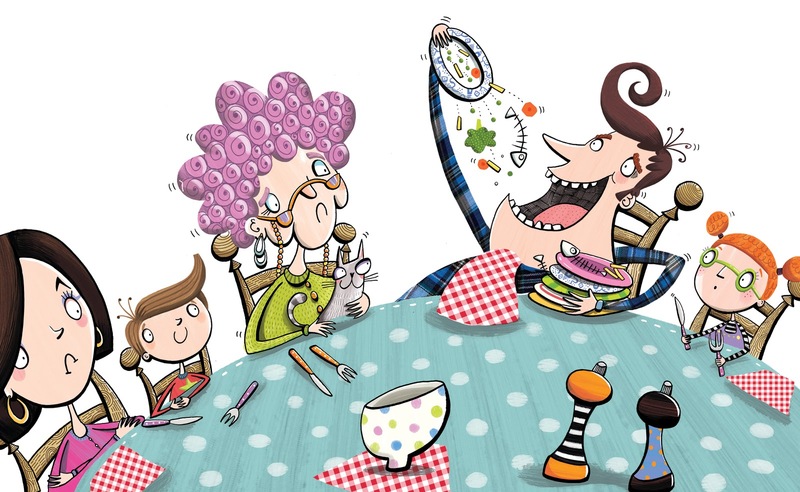 This is an illustration I've recently done for a picture book in which the Dad,as you can see is extremely greedy. He does get his come-uppance though! !